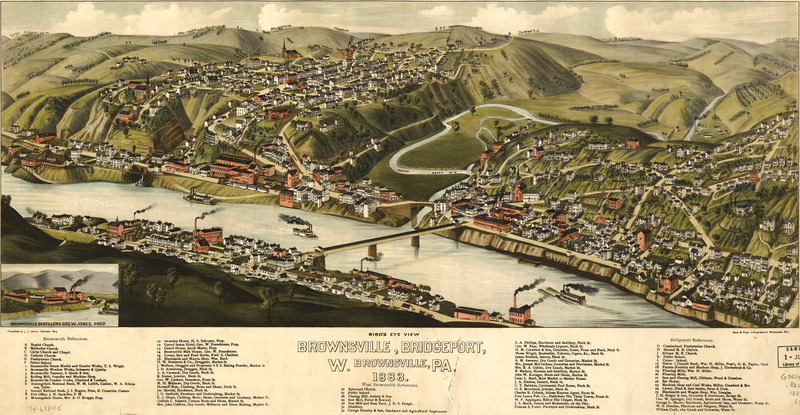 J.J. Stoner's birdseye map of Brownsville and Bridgeport, Pennsylvania in 1883. 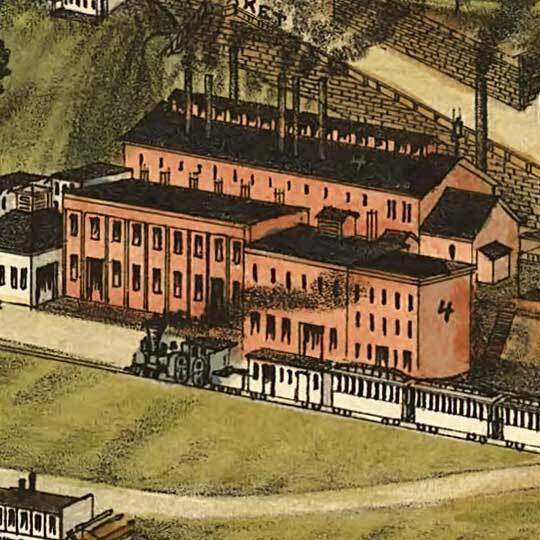 I can see why J.J. Stoner (and some others) would occasionally use the alternate-color-for-featured-building visual cue, as he did with this birdseye for Bridgeport, Pennsylvania [gmap], but when there's only two colors, and they're so radically different, it just has the effect of creating a pretty mottled overall appearance. But what do I know?